I have an interesting relationship with Multistrike. On the one hand, I like what it does for Enhancement, but on the other hand, I’ve been doing the same thing with Enhancement about as long as I’ve been playing the spec, and it sure as heck isn’t adding much new. For those who missed it, a few weeks back we got some tidbits about what was being changed for Legion, and among the revelations is the confirmed loss of Multistrike as a stat. This is hardly the first time we’ve lost a stat in the game; it’s just that most of them manage to stick around for longer than a single expansion. Multistrike managed to even avoid most of the pitfalls of other lost stats – it’s not boring to gear for along the lines of Hit and Expertise, it doesn’t require complex and annoying math like Armor Penetration, and it doesn’t have the weird back-and-forth of things like spell crit vs. normal crit. But I’m kind of glad it’s gone, because as it stands I’ve got about twelve paths to multiple strikes normally. While a lot of things have changed with Enhancement over the year, one universal truism is that it is and always has been a spec of hitting things a lot. Windfury was all about exploding into a sudden burst of devastating melee hits in one quick moment, and as time has gone by we’ve only gained more tools in that department. Echo of the Elements allows us to stock up charges on our most important abilities, Haste is one of our most important stats (the most important after Agility, until we hit 50% and diminishing returns start getting to us), and in general we tend to have few show-stopping tricks but lots of tricks all at once. This is, I think, why Enhancement has never really been pushed back toward having a two-hander over the years. The fantasy of the spec, to use the terms of our age, has very much shifted to account for the idea of just repeatedly smacking stuff as fast as possible. Doing so with two weapons makes more sense from a thematic standpoint. In theory, then, Multistrike is perfect for us. For starters, it triggers off of abilities rather than auto-attacks, and since we’re all hasted as heck we’re firing off abilities at a rapid pace. It also makes that Haste ever so much more valuable and lets us get the most out of tricks like Flame Nova, spreading that love for bigger ticks all around. What could be better? The problem, of course, is one that I’ve come back to a few times whilst talking about the class over the past few months. Enhancement has a bit of an issue with being assembled from pieces of the class that aren’t yet denied to us, and Multistrike is adding in another stat that fundamentally just brings us to the same place over again. With all of the elements I listed before, Multistrike feels like a stat that does more of what we already do, rather than something new and cool for the spec, and it also makes Enhancement feel a bit less distinct in the process. 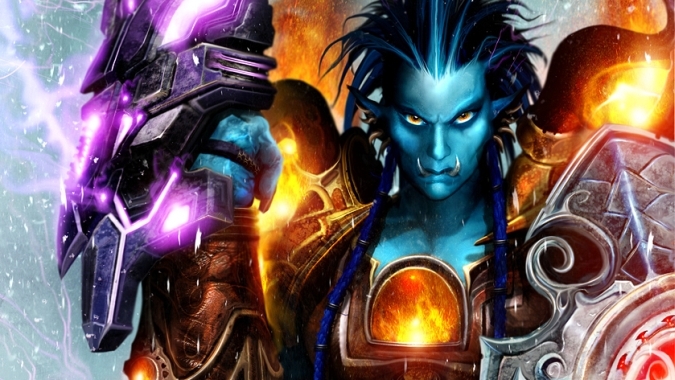 Don’t get me wrong – I am completely on board with other specs getting bits of Shaman love and being able to mirror some of our cool tricks, because they’re pretty cool. I would love to have seen other specs get totem-like effects that were equally limited in terms of buff duration and availability rather than just the outright removal of those buff totems, for example. But when the class you’re playing already has an issue with being a bit cobbled together, losing that sense of being a whirling tempest that can unleash the same damaging bursts in quick succession is felt keenly. So I won’t exactly miss Multistrike when it goes away. I bring up class identity, though, because the whole “do it again” trick is more than just an Enhancement bit – Elemental pioneered the “cast it again randomly” trick a long while ago, for example. 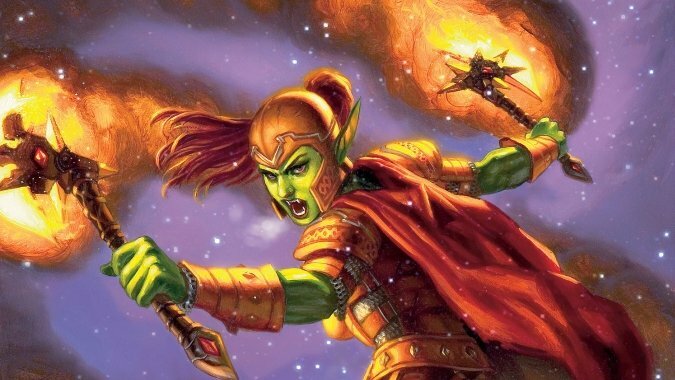 Colleague and fellow Shaman writer Joe Perez notes how powerful the stat has been for Elemental over the course of the expansion, and that sort of leads me to believe and speculate that Multistrike may not simply getting banished. 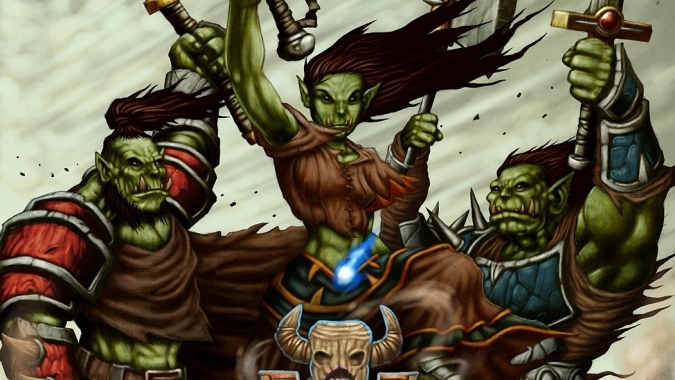 After all, we’re already getting some redesigns; why not save the work being done on those redesigns by giving Shaman in general and Enhancement in particular something to call its own? While a lot of speculation has centered around renaming specs that share names across classes, I wouldn’t exactly be surprised if Enhancement received a name change, as its aspect of enhancing other players is all but gone. These days, what you enhance is yourself through the aid of the elements, and while that does make sense it requires some mental gymnastics first. As long as we’re already poised to have an identity based around hitting things again and again, a name more in line with that would not be unwelcome. We don’t know yet what, if anything, will replace Multistrike. I’m hoping for something rather than nothing, because as it stands gearing up for stats is fairly boring for Enhancement. You can argue the relative weight of Multistrike and Mastery, but both are pretty decisively above Crit and Versatility once you’ve hit that 50% Haste threshold. It’d actually be a great chance to play with the Artifact system if various weapon builds suggest different stat priorities, and something with a different execution than Multistrike could fit in marvelously there. Frankly, I also think that Multistrike-like effects would make a more interesting ability Mastery than the current Enhancement Mastery. It’s not useless, but it’s just sort of there, and it functionally provides a bland and unengaging flat damage buff. The original concept of the stat was to provide a central and distinct mechanic for each individual spec; I’d love to see a return to that. More likely, something akin to Multistrike will likely show up on our artifact as one of its effects, a Windfury-esque chance to hit multiple times with certain attacks. That’s really what Multistrike has always been aiming for, and it turns out that giving the designers control over what abilities chain together is kind of a net positive. 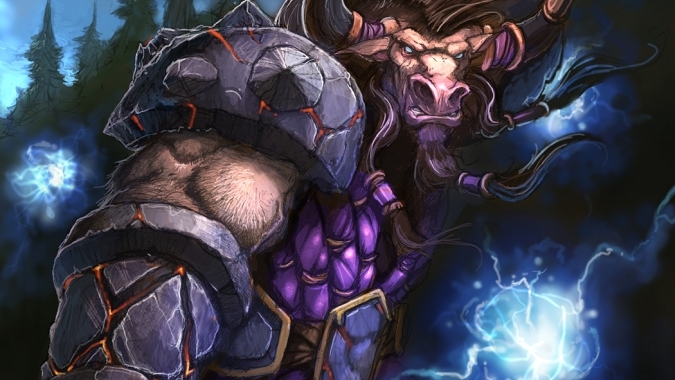 Barring any well-known cases of Multistrike being drastically overpowered for certain classes in specific situations, I’d like to hope that it’s less a matter of removing it for balance reasons and more about giving Shaman something to distinguish itself as a whole, with Enhancement getting a slice of that pie as well. Or maybe all of the Multistrike is going to Demon Hunters instead, I don’t know. I retain some hope there.